1. 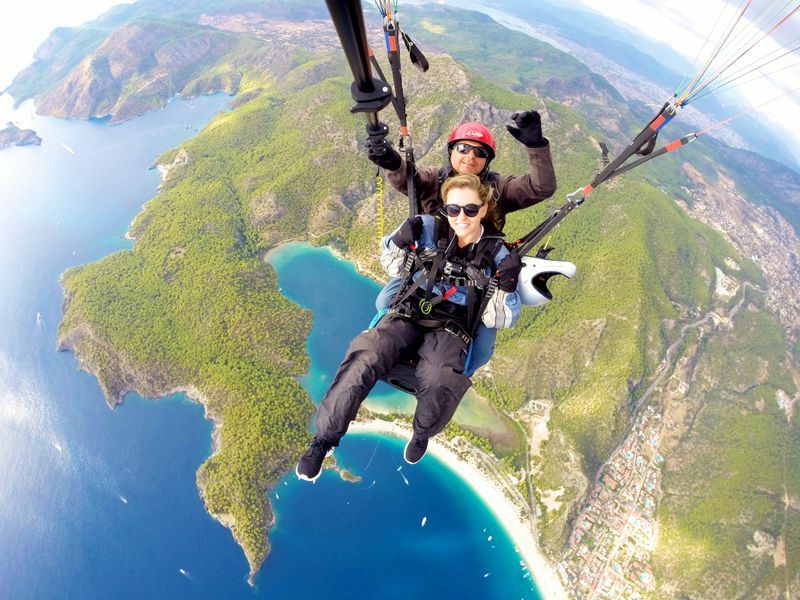 What do you think makes Turkey different from other European destinations? As Turkey lies both in Europe and Asia, the mix of culture here is so fascinating. I love the rich diversity of the city and the stunning, rugged coastline. 2. Whereabouts in Turkey can you recommend for us? I can't go past all of the beautiful beach-side towns that sit on the Aegean coastline. 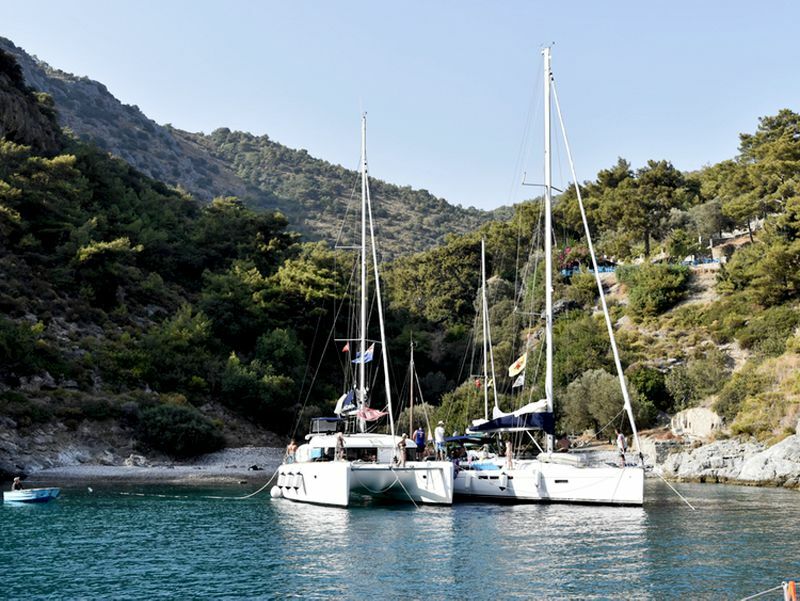 Some of my favourites are Fethiye, Oludeniz, Kas and Kalkan! 3. What is your favourite Turkish cuisine? 4. We can see from your Instagram that you recently stayed on a yacht in Turkey! What would you say was the advantage of seeing Turkey from the sea? It has to be, hands down, my favourite way to experience a destination. Sail along the coastline, stopping off at little hidden bays for a swim, discovering new towns each day and not having to worry about your mode of transportation! You can get all your friends & family together for something a little different and then let the cook/captain to all the cooking & chartering for you. It is one of the most relaxing holidays I've ever been on. 5. What’s always packed in your suitcase? I'm a bit of a tech nerd these days, so my DSLR camera, Go-Pro and laptop always come with me! And a warm jumper for the plane. 6. Have you got any personal recommendations for bars/restaurants/beaches/things to do! 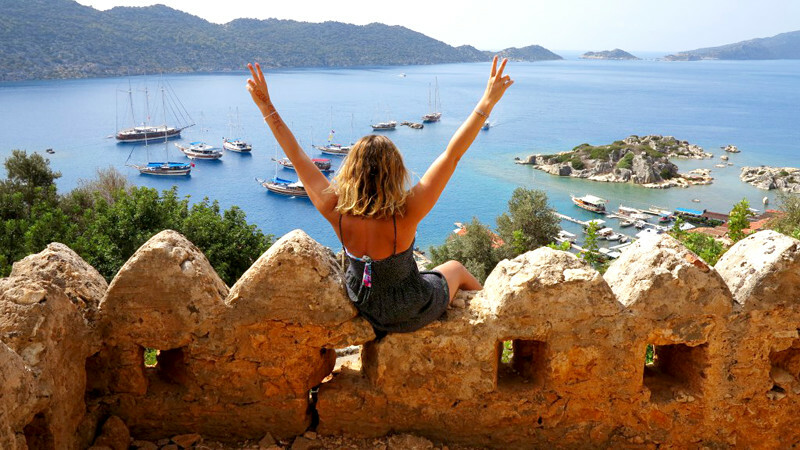 I love the shopping in Kas, the nightlife in Fethieye, Paragliding over Oludeniz, swimming in Butterfly valley and visiting Turtle bay to swim with the turtles! 7. Finally, what’s your favourite Clickstay Villa in Turkey and why! 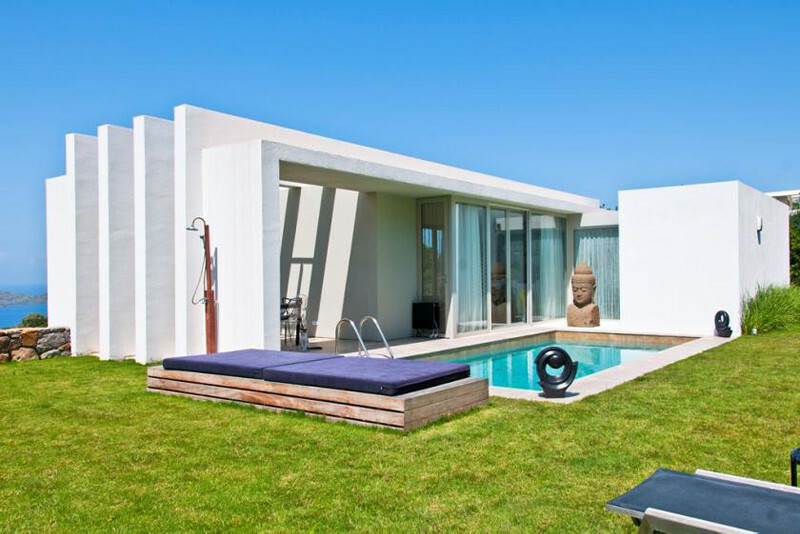 I can't go past this amazing Villa in Turkey, Villa Gulman. The view, the location, the pool - it's all perfect! I'd love to host my first Wood & Luxe Yoga retreat there next year as there is plenty of space to practice yoga. Visit one of our villas in Turkey. You can read more travel inspiration from Phoebe at her wonderful blog, Wood and Luxe.